An arboretum is by definition, a botanical garden dedicated to trees. While our gardens abound with beautiful seasonal flowers and plants, Chadwick Arboretum is dedicated to preserving and exemplifying the simple and unique beauty that only trees can provide and to using trees for teaching and research. Our Arboretum North boasts many tree collections: Colour Columbus 1,000 Native Tree Collection, Donald Mayhew Memorial Grove, our diverse Willow Collection, and Andy Geiger Buckeye Collection. The Lane Avenue Gardens feature tree collections such as the Columbus Landscape Association Conifer Collection, the Lynn E. McCall Colorado Spruce Collection, and boasts the Ohio's State Champion Greek fir. 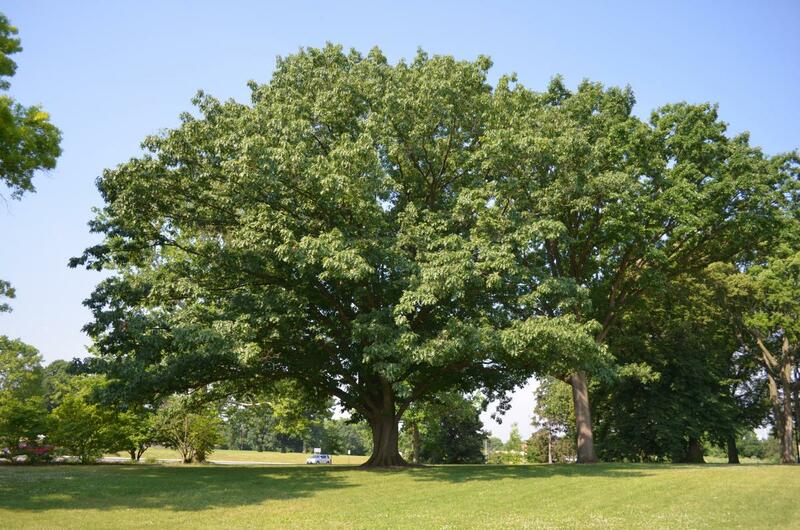 Chadwick Arboretum leads the efforts to identify, measure, and map every tree on the OSU Columbus campus. In conjunction with this mapping, we have created a Plant Search Database app that you can use to view photographs of trees on our campus and to read about each tree. This work supports the annual renewal of The Ohio State University Tree Campus USA Certification that was first awarded to OSU by the National Arbor Day Foundation in 2012. This certification highlights the aesthetic, environmental, social, and economic importance of trees on our campus. As of August 2014, staff and volunteers have mapped nearly 12,000 campus trees plus over 3,600 trees and shrubs in the arboretum. Signs like this one are displayed around campus to educate our students, faculty, and visitors about the ecological value of our trees. 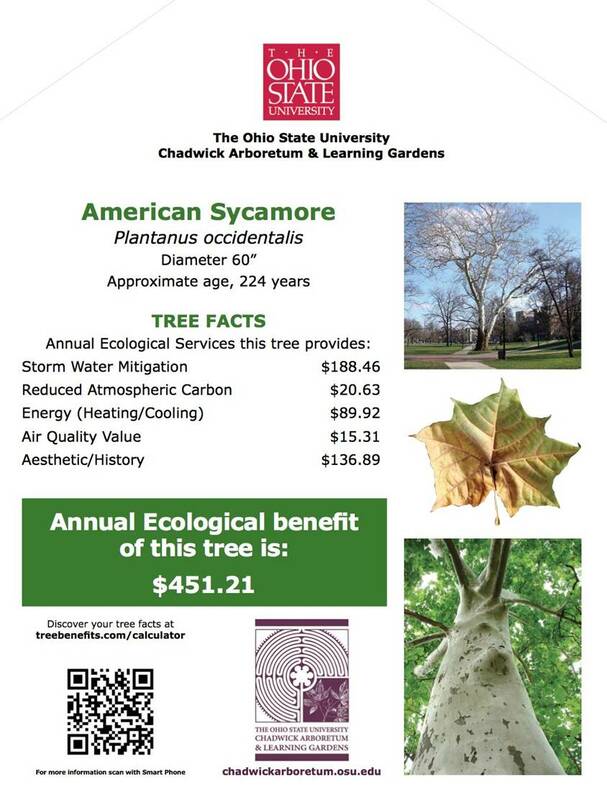 If you are interested in 'owning' a tree on The Ohio State University Columbus campus, conside a donation to endow a tree. Click Commemorative Trees to read more or email Mary Maloney at maloney.23@osu.edu or call her at 614-688-3479 to discuss this and other endowment opportunities.